And it’s always bothered us. Because while we wish it was true – we wish that determination was enough – unfortunately in our birthing culture, it often isn’t. And because most women don’t know that – the quote can create a lot of unnecessary self-blame, guilt, shame and feelings of failure. So we created a new image instead, and a new explanation, to shine a light on the other factors that can impact upon the direction a woman’s birth follows, and why this quote is simply untrue – at least in the world of birth. We shared the image and explanation (below) on Facebook recently, and received an outpouring of acknowledgement from women who have struggled with the original ‘She believe she could…’ quote, and who found our new post resonated with them and their experience. So we wanted to share the quote and explanation here as well, to reach more women who might feel that familiar sinking feeling when that original quote pops up in their Newsfeed. THIS is why we created our blog. Because THIS is the Truth About Traumatic Birth. She believed she could. And she probably could. But it would be easier with the appropriate support and antenatal education and birthing environment and information to enable her body to feel safe, and thus release those amazing birthing hormones, and birth her child. Or to enable her to feel safe enough to make informed decisions about her care, and feel empowered and like she ‘could’ regardless of the path her birth ended up taking. But if she couldn’t…it’s likely because she didn’t have access to these things. And that isn’t her fault. And she needs to know that if she couldn’t…she’s not alone. And maybe it’s not that she couldn’t. But that she SHOULDN’T. She shouldn’t be put in a position where she is birthing without these things in place. 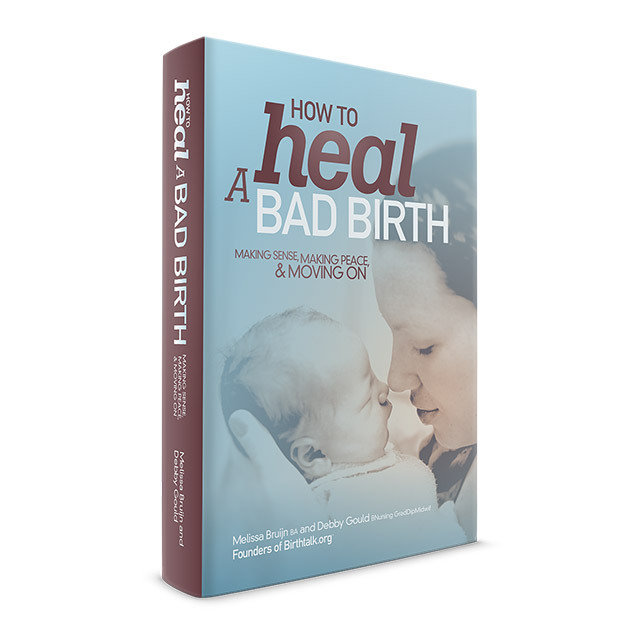 Without the right support, information, or environment that are optimal for a positive, empowered birth. She shouldn’t be led to believe that it’s determination that will see her through the flaws in our maternal health system, in our antenatal education, in our culture. She shouldn’t be led to believe that self-belief will see her through medical complications beyond her control, when instead she needs guidance, nurturing, evidence-based information and support to make informed choices. She shouldn’t be left to pick up the pieces, believing it was her fault. Believing that it was just that she couldn’t. Belief is often simply not enough. ← ﻿Rachael’s story: finally healing after traumatic birth, severe tearing, vaginal prolapse plus 3 failed repair surgeries.